About the gallery’s possibilities and how to use them more effectively you can learn in About the art-gallery section. Born in 1928 in Leningrad (presently St. Petersburg). In spite of his advanced years, Mark Kremer is full of energy and actively involved in work. 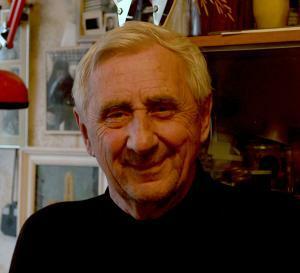 He graduated from Vera Mukhina High School of Art and Design in 1952 with honors and has been a member of the Union of Artists of the USSR (now Union of Artists of Russia) since 1956. Kremer was raised in a very artistic environment and significantly influenced by his father, late Veniamin Kremer (1899 – 1978). Kremer Sr., besides various art accomplishments was the Head Artist for the Soviet Union Pavilion at the New York World’s Fair which took place in 1939. In addition, in 1936 together with famous poet Joseph Brodsky he took p[art in establishment of Leningrad Branch of the Union of Artists (presently known as the Union of Artists of St. Petersburg). So not surprisingly that Mark Kremer has become such an original painter irrespective of the socialist realism conformity atmosphere which he lived and worked in. Mark Kremer’s paintings are characterized by his remarkable style inspired by Isaak Levitan and Arkady Plastov – classical Russian landscape painters. According to the statistics reported by respected art rating agencies (artprice.com, akoun.com, artinvestment.ru, etc.) Mark Kremers’ works are steadily growing in price. In this view, they may be regarded as not only collector’s items or interior object but also as worthwhile investments. Both private and museum collections almost throughout the world boast Kremer‘s works.